What We Can Learn From Chickens about Being a Successful Team | UC Berkeley Student Affairs Community Blog! What makes certain teams more successful and productive than others? Entrepreneur and author Margaret Heffernan recently did a TED Talk that posed this question. She explained how an experiment that took two control groups, an average flock of chickens versus individual “superchickens” grouped together showed that the average group were actually more productive and healthy. Find out what happened to the “superchicken” group here! They exemplified high degrees of social sensitivity to each other (a test for empathy). They gave about equal time to each other; there was no voice that dominated, yet no one was a passive passenger. There were more women in those particular groups. The researchers concluded that it was the social connectedness to one another that aided in their group success. Heffernan maintains that “…what happens between people really counts, because in groups that are highly attuned and sensitive to each other, ideas can flow and grow. People don’t get stuck.” Lastly, she argues that teams that work longer together get better with time, due to the fact that developing trust is an investment–which will then create a successful team that has openness and candor with one another. In Hefferman’s TED talk, she cited how some companies encouraged people to talk to each other and hang out at the coffee machines. The Swedes called this “fika,” which means more than a coffee break, it is collective restoration. You can create fika by encouraging staff to talk to one another outside of their normal workspace to share ideas and ask for help. Share the TED talk with staff and discuss what stood out for them. 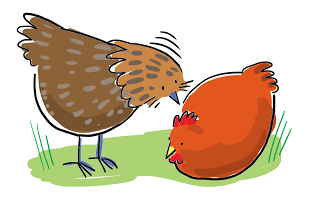 Ask how you can avoid the “superchicken pecking order” as a team and talk about experiences that will help build trust, pride, and community.